Fully approved short sale at this price. Quick re-approval! Certified Green Build 4 bed, bonus room & project room. Custom Colorado inspired home. Private fountain courtyard to a wrought iron stairway entry.Formal living with custom fireplace mantle and handmade columns.Greatroom family boasting a one of a kind stone fireplace, full bar, beams and mountain views.Open Kitchen complete with granite countertops, a plethora of custom cabinets, and top of the line custom built professional stainless steel appliances, vent hood, pot faucet and butler party with miele espresso machine and massive pantry. Master with fireplace sitting room, balcony and spa bathroom with roman soaking tub + walk in shower. 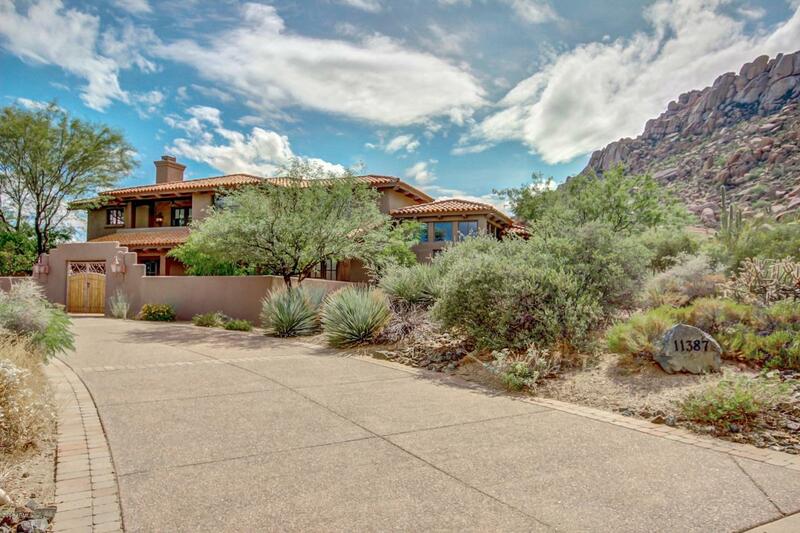 Resort backyard with endless mountain views, sparkling pool/spa,BBQ island w/fireplace.